Now that you mention it, I DO need more merch for my favorite fandoms, please and thank you. Of course, finding new stuff isn't always easy. Die-hard fans have often seen the same merch over and over on every site, and not everyone has the time or funds to attend conventions to see unique products. 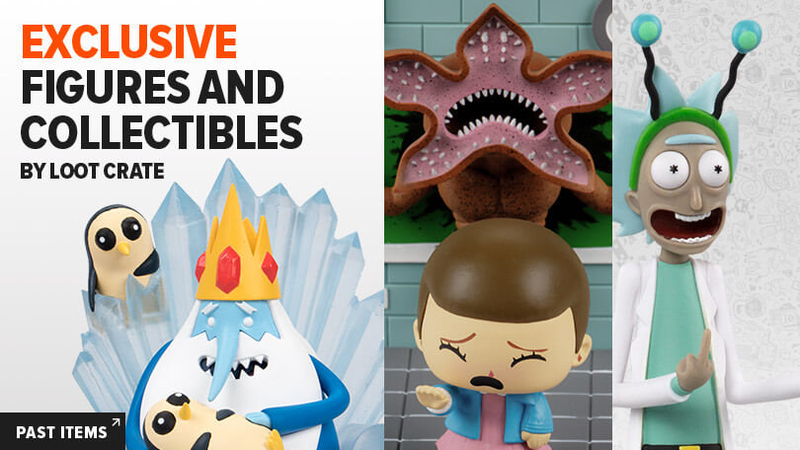 That's why Loot Crate, a subscription service focused exclusively on geeky and pop culture goodies, is so cool. 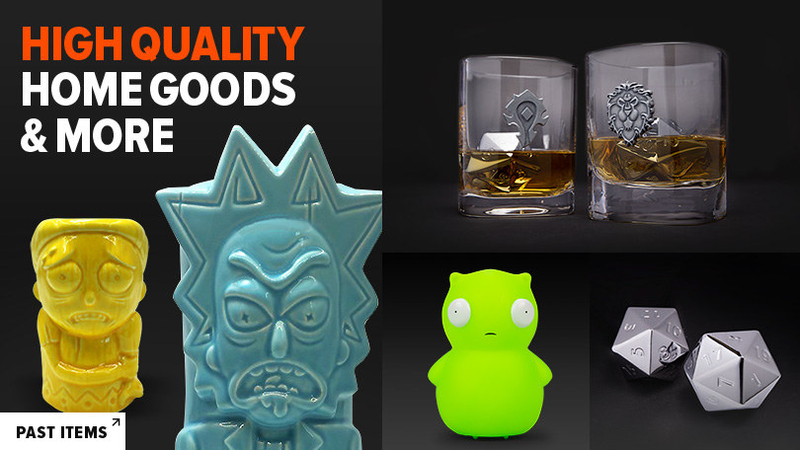 The brand has several different gloriously geeky boxes to subscribe to, and each one comes filled to the brim with things from tees to collectibles to household goods themed around one or more fandoms, including ~exclusive~ finds. You get all the joy of discovering a fun fandom find at a con or getting one as a gift, except it's a gift you give yourself and you don't even have to leave your house!!!! Sounds awesome, right? Well, it gets better — from now through February 28, you can get 35% off five of the brand's best subscription boxes by entering the code BUZZFEED35 at checkout. And wait, it gets even better, because this deal is available on any subscription length (one, three, six, or 12 months), so you can treat yourself for the whole dang YEAR. Subscribe for yourself! Gift a subscription to a friend!! Go wild!!! 1. The original Loot Crate, which always includes a tee and a pin, plus other merch like figures, household goodies, or wearables from a variety of fandoms, all centered around a monthly theme. For example, February's theme is "transformation," and the box will feature treats from fandoms like Marvel, Transformers, Adventure Time, and Naruto Shippuden. And if you don't like a particular month's theme or fandoms? You can always skip. Each box has a $45+ value, and if you sign up for the 12-month subscription, you get a free bonus tee! Get it for $10.37+/month (originally $15.95+/month, available with shirts in sizes men's S-5XL and women's S-3XL). 2. 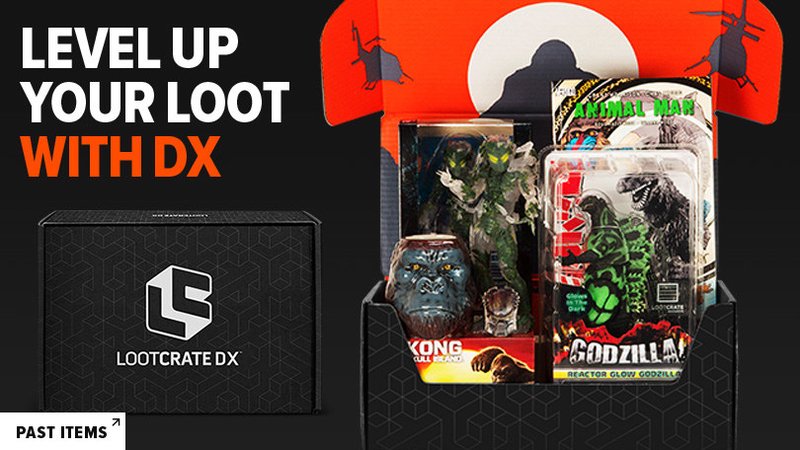 Loot Crate DX, an upgraded version of the classic box that includes deluxe stuff — each box is worth at least $75! Just like with the regular Loot Crate, you can skip any month and you'll get a free bonus tee with a 12-month subscription! Get it for $29.89/month (originally $45.99+/month, available with shirts in sizes unisex S-5XL). 3. Loot Wear, which lets you choose from one of five types of apparel, from socks to tees. Each month, you'll receive one of those items from a different fandom! 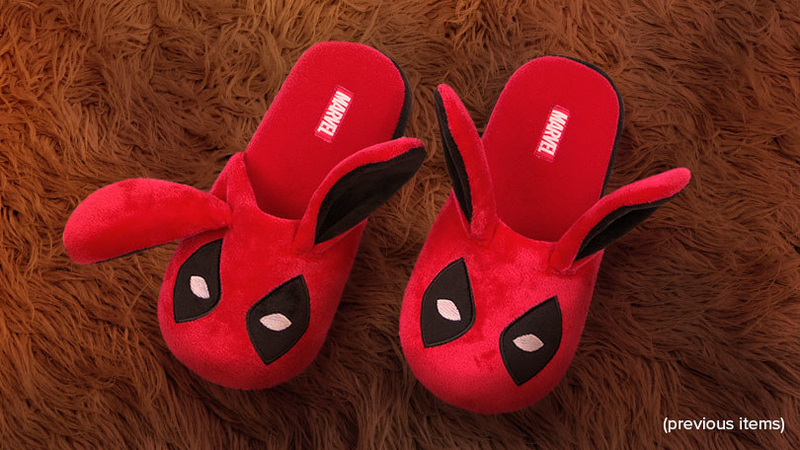 The categories you can choose from are socks, underwear, tees, women's fashion, or wearables in general, which can be anything from slippers to outerwear (up this month? A How To Train Your Dragon vest, which I think I want so badly it's giving me ~hiccups~. Sorry, that was a terrible joke). Get the socks for $5.52/month (originally $8.49+/month), undies for $6.17+/month (originally $9.49+/month), tees for $6.49+/month (originally $9.99+/month), "For her" for $12.99+/month (originally $19.99+/month), and wearables for $10.71+/month (originally $16.49/month). 4. Loot Gaming, a crate full of collectibles and gear to ~level up~ any video game fan's life. Each box has at least a $60 value. 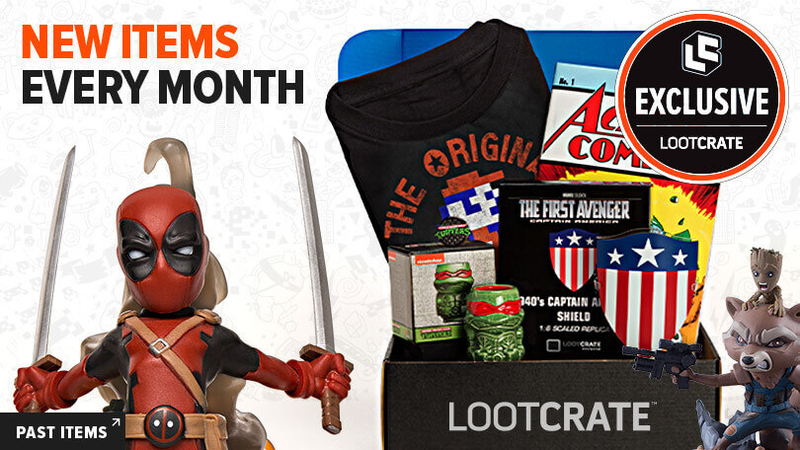 Just like the regular Loot Crate, it features items from several games centered around a theme, you can skip any month, and you get a free bonus tee with a 12-month subscription! Get it for $15.47+/month (originally $25.95+/month, available with shirts in sizes men's or women's S-3XL). 5. And Loot Anime, A shipment of fun stuff that ani-may become the highlight of any Japanese animation fan's month. OH MY GOD I'M SCREAMING AT THAT EIN PLUSH FROM A PAST BOX!!!!!! Listen, if there's even the smallest chance a subscription box includes something data-dog-related, I'm sold. Each box has at least a $60 value. 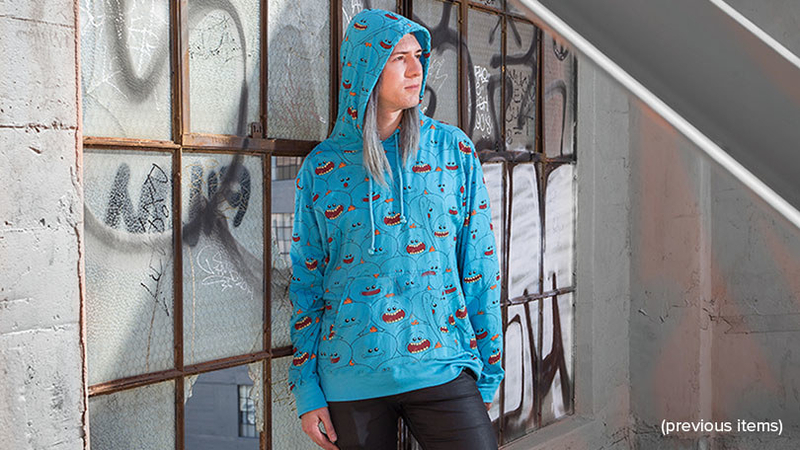 Just like with all the other crates besides Loot Wear, it features items from several different anime series centered around a theme, you can skip any month, and you get a free bonus tee with a 12-month subscription! Get it for $15.47+/month (originally $25.95+/month, available with shirts in sizes unisex S-3XL).